The best performance/noise pc fan now available in pure black variation to differentiate from the established Noctua baby poo color scheme. Noctua NF-A15 PWM 140mm Chromax Works great on the Noctua NH-U14S. Dropped 2 of them on there and they idle at around 600rpm and are Dead Silent.. Engineered by the best. Best of all, they are not brown! Picked up two for a push-pull configuration on the CPU and added a y-cable for connecting them to the MOBO. 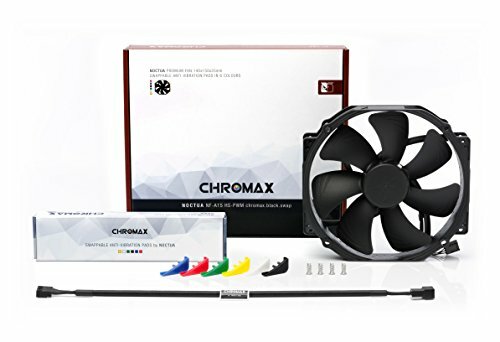 Note: Chromax does NOT come with their own y-cable. Though Noctua states that this part does come with one, they must be referring to the ugly duckling counterpart. These are great fans, though in full disclosure, I purchased one of these hoping that the anti-vibration pads would fit the Redux line. They do not - greedy Noctua... but I do have to give them credit where credit is due. Really good static pressure fan that runs silent. 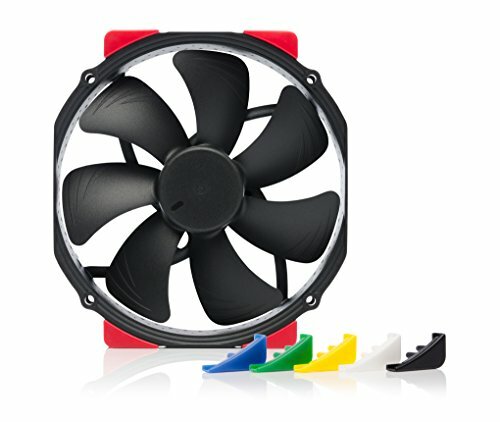 Silent high airflow fan, but a tad expensive. It doesn't have all the accessories included such as it's tan brown brother. You'd have to consider that as an extra cost and merge it with the already expensive fan. Noctua needs to take care when printing serial numbers. Mounted in the D15S, you can orient it in any four directions, but two of them are wider than the others when mounted, making it bulge a bit. The two shorter orientations: one has airflow indicator on it and the other has a printed serial. For aesthetic reasons, it'd be better to not have the serial there, but a little rubbing alcohol got rid of it after 10min or so. Otherwise it performs great, dead silent in the 650-850 range, even up to 1000rpm it's fairly inaudible.